Do you want to go to the Edinburgh Festival Fringe for free? Think you could handle more than 100 hours of comedy in two weeks? Then you may have what it takes to be an Edinburgh Comedy Award Panellist. We are offering you the chance to join the judging panel for the Edinburgh Comedy Awards, Britain’s most important prize for comedy. You will be deciding both the most outstanding original comedy act and the best newcomer comedy act at the Edinburgh Festival Fringe. You need to be a regular visitor to live comedy and have bags of energy. You will be expected to see six shows a day; you’ll be feeding back your opinions of what you’ve seen and contributing to official panel meetings and the process of finding the winners. So show us your credentials. We are looking for real punters who know and care about comedy. The winner must be available to stay in Edinburgh from 7 – 24 August 2019. In return, the Edinburgh Comedy Awards will provide you with accommodation, travel, show tickets and invitations to the best parties in town! 1. Tell us in approx 350 words why you are the best candidate. 2. Write three short reviews, no more than 150 words each, of your three favourite live comedy acts. 3. Entries must reach us by 12th April 2019 at 12pm. If you are shortlisted, you will be required to attend an informal interview in London on 1st or 3rd May. Travel expenses will be reimbursed (please provide your receipts at interview). 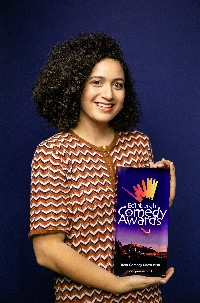 Send your entry to assistant@comedyawards.co.uk, or Edinburgh Comedy Awards Panellist, 1st Floor, 44 Maiden Lane, London, WC2E 7LN. 4. The winners will be announced at the end of June 2019. 1. Entrants must be 18 or over and resident in the UK. 2. Entrants must be available full time and able to reside in Edinburgh from 7 - 24 August. 3. The competition is not open to employees of the Festival Fringe Society or anyone connected professionally with the comedy business. 4. 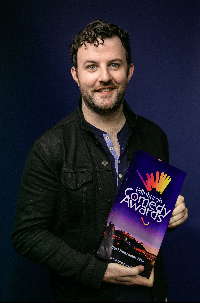 The prize is a position on the Edinburgh Comedy Awards judging panel for the Edinburgh Festival Fringe 2019. The winner must attend approximately six shows a day, possibly more, and provide short reviews for all shows attended. 6. The winners will be chosen by the Award Director Nica Burns and the decision is final. 7. The prize is nontransferable. There will be no cash prize. 8. No responsibility will be taken for entries lost, delayed or incomplete. 9. All costs incurred by the winners other than travel and accommodation are at the winner’s expense.